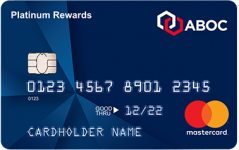 ABOC recently introduced a new Union Strong credit card edition for union members and their supporters, which features a low 10.25% APR and 1% rewards on purchases. Details on eligibility requirements and the Union Strong application are found here. Both cards have generous introductory offers. New ABOC credit card purchases of $1,000 or more during the first 3 months, rewards you with 1,000 bonus points (worth $100 as tax-free statement credit). That’s up to 10% off, with a year to pay off the purchase in full. All eligible purchases pay no interest for the first 12 billing cycles of account opening. This is great way to do your holiday shopping now, and pay the bills over the entire year. Zero-interest for 25 days before payments are due for purchases paid in full after the promotional period. Extended Warranty doubles your original warranty up to 1 additional year. Purchase Assurance® covers most items from damage or theft. Price protection refunds the difference if you see an item advertised for less within 60 days of purchase. Identity Theft Resolution Services provides one-on-one support in the event your identity is compromised. MasterAssist® provides pre-trip planning assistance, help with lost luggage and more. Master RoadAssist® Roadside Services provides help in the event your car breaks down while traveling in the U.S.
$1 Million Travel Accident Insurance. Security chip offers enhanced protection when used at chip-enabled terminals. Contactless payment feature provides fast, easy and safe checkouts. Make mobile purchases with Android PayTM, Apple PayTM and Samsung Pay. Pay down your high-interest credit card balances faster by making purchases on either ABOC credit card within the 0% APR introductory purchase period. And get a cool $100 off of your first $1,000 in net purchases. Apply here to save, save, save. As an under-the-radar bank, the Amalgamated Bank of Chicago (ABOC), offers an alternative for people who rather not expose their financial information to the mega-banks. The $100 bonus, simple 1% rewards program, low APR, and backing by Mastercard serves most customer’s everyday purchase needs. When making a purchase or payment $500 or larger, consider opening a new credit card account with a cash back sign-up bonus of $100 or more. You could earn hundreds of tax-free dollars a year by planning your credit card applications the smart and steady way. Since the bonus offers usually require spending a certain minimum amount on the card, time your larger charges with getting a new credit card account. Many of card’s bonus can only be redeemed for travel or store purchases, which is good only for certain people. The offers below give the cardholder account holder actual cash in the form of a tax-free rebate, i.e. statement credit. Apply by 1/11/2017- Earn 10% cash back on purchases at Amazon.com in the first 6 months, up to $200. Plus, earn $150 back after you spend $1,000 in purchases on your new card within the first 3 months. You will receive cash back in the form of statement credits. 1% other purchases. Terms and limitations apply. 0% intro APR on purchases and balance transfers for 12 months, then a variable rate, currently 13.24% to 23.24%, based on your creditworthiness and other factors. 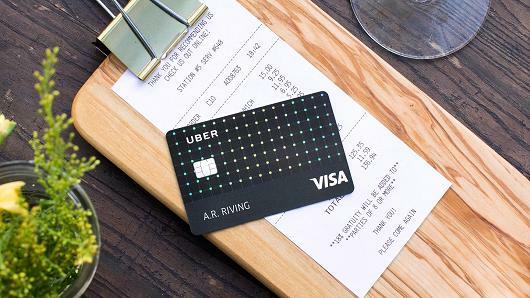 Credit card signup bonus offers aren’t just for individuals. If you own a small business, have a side hustle, or are self-employed, you could qualify for any of these business card signup bonus offers. For a limited time, earn even more cash back: Earn up to $500 cash back as statement credits. 5% and 3% apply to the first $50,000 in purchases per calendar year, then 1% thereafter. Cash back received is automatically credited to your statement. Apply these common sense rules before applying for too many credit cards at once. Use the signup bonuses with a definite purpose. Before you pick a program, explore each one in depth. Apply for a maximum of two cards per year. You may earn more rewards by signing up for more, but that could limit your ability to earn bonuses in the future. Pay your balance in full every billing period. Banks rely on the fact that they earn more in interest and fees than what they give back in bonuses or rewards. They cost more than the services than provide and closing an account limits your buying power.